Have you ever tried to book a hotel and noticed the prices for the same exact room vary considerably? Sometimes, Monday is one price, and Tuesday is a completely different price! More often than not, weekends are always priced differently than weekdays. And prices for special events, like conventions, sporting games, or big festivals are way higher (ever try to book a room in the French Quarter for Mardi Gras)? Hotels have been in the business of renting rooms by the night for a long time, and especially the big chains, have very advanced software to help them get the most revenue by upping or dropping the price for big events or unsold rooms, etc. Now we don’t have to go as in depth as hotels do, but there are several things you can do like the little guy to make more money by adjusting your prices accordingly. There are two options that I can recommend. Outsource this to a professional. There is a bunch of new services that do just that: adjust your price based on their demand models. A few of these services are called Beyond Pricing and Everbooked. Most of them charge about 1% of your total revenue to adjust your prices dynamically, and they all claim the service will more than pay for itself with increased profits. 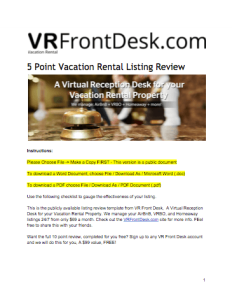 Check out all of these services in the resources section of my book: www.vrfrontdesk.com/profitblueprint. We have a partnership with Everbooked and highly recommend them, but other tools may work for you as well. The key is investigating what is available and choosing the one that works best for you. You can also do a basic method of this yourself. AirBnB has started more aggressively showing price tips in your calendar, which you can decide to follow or not. But also, you can pretty quickly google and find the big events in your city for the next year and update your prices to be more expensive for those dates. You can also set High season prices, low season prices, and last minute prices. If you are coming up with an empty slot 7-10 days away, why not drop the price to encourage a last minute booking? With a few minutes of work, you can add significantly to you bottom line. In Honolulu, there are established seasons of low seasons (spring and fall), high season (summer) and ultra-high crazy season (Christmas and New Years). I would be losing a lot of money if I didn’t charge as other hosts do during these times. Sometimes Christmas time can be nearly double the price. The last tip you can do here if you don’t want to outsource this is find the hotels nearest to your location and watch their pricing. Sure, this takes an awful lot of work, and if you forget about it, you could miss big pricing swings. Still, you could do this if you have a few hotels close to you and watch for their pricing trends, as those may mirror what you can charge as well. See when they raise and lower prices by spending a few minutes each week checking their pricing. This may give you some tips as to when to charge more, and when to lower your prices. Regardless of what you do, the days of just “Setting and Forgetting”your price on Airbnb are long gone! Or at least they should be! You can get a much better return on your investment, and make more money when your rates are properly correlated with the market. 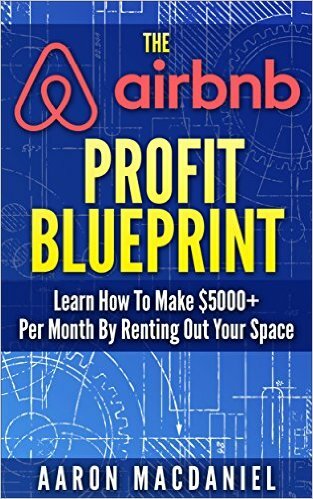 Do you have any other tips about how to price your unit? Let us know below in the comments.